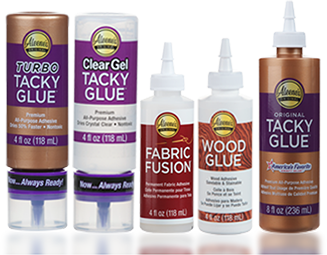 Aleene’s Original Glues - What is Aleene’s Tacky Glue made of? What is Aleene’s Tacky Glue made of? The exact formula for Aleene’s Original Tacky Glue is proprietary information and therefore cannot be shared. If you are concerned about the ingredients in Tacky Glue or any other Aleene's glue, please contact us here for assistance.